Sports and fitness giant Nike may have made the internal decision to discontinue the fabulous FuelBand hardware in favor of exploring health and fitness based software solutions, but that doesn’t mean the company has abandoned the thriving community it has worked so hard to amass. The FuelBand will be sorely missed by many who used the wearable on a daily basis, but NikeFuel, the universal method that the company invented to measure and incentivize user activity, is still going strong, and can actually be swapped out for real-life Nike products at a secret branded vending machine. Like most enormous, multinational companies, Nike is relatively well-versed in clever marketing tactics that are designed to go viral and build a positive reputation amongst consumers. 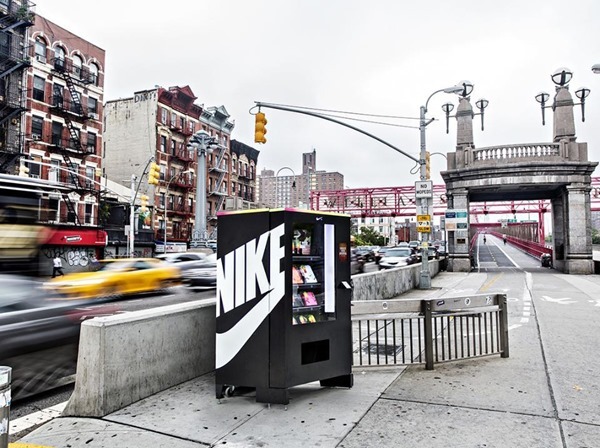 The company’s latest stunt of building a Nike branded vending machine, filling it full of company sportswear and dumping it in the middle of New York City is probably one of the most interesting marketing ploys we’ve seen for a while. Especially when you find out that the vending machine doesn’t actually accept cash. Unfortunately for New York residents, the machine has now been removed, probably with the intention of relocating it to a different city. 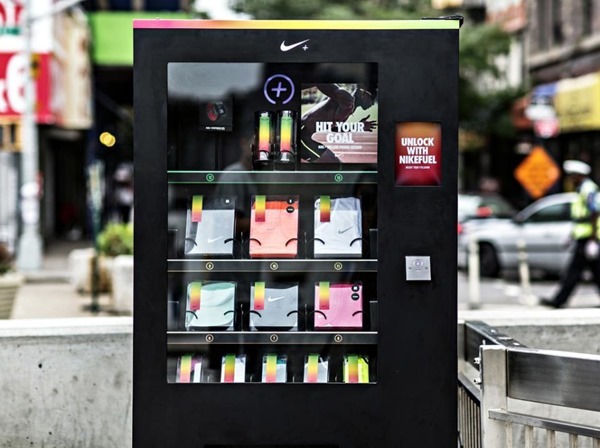 However, for the short time that it was actually functioning in The Big Apple, it allowed the populous to use daily NikeFuel earned from a Nike FuelBand in exchange for some branded sportswear. The machine was rammed full of trendy hats, shirts of all colors and sizes and even premium sports socks. No limited edition Nike sneakers this time around, but who knows what it might do in the future, right? April’s announcement that the FuelBand is no longer going to grace our lives was definitely a bitter pill to swallow, but thankfully, NikeFuel is here to say with us in one form or another. 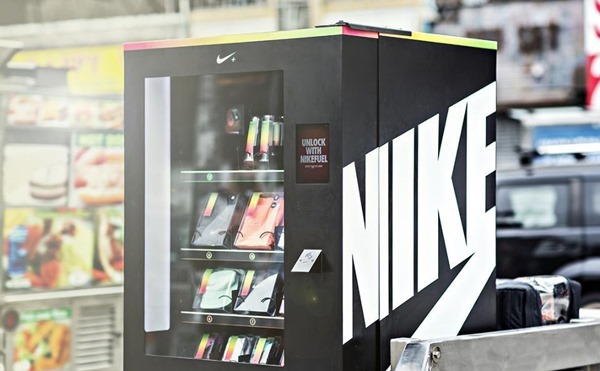 Rather than chew through all of the NikeFuel on any given account, the vending machine only allowed visitors to exchange the Fuel that had been collected that day. An extremely clever choice from Nike as it pretty much forces anyone wanting to interact with the machine to get into the Nike apps and get active. Hopefully we’ll see the machine popping up in other locations going forward.